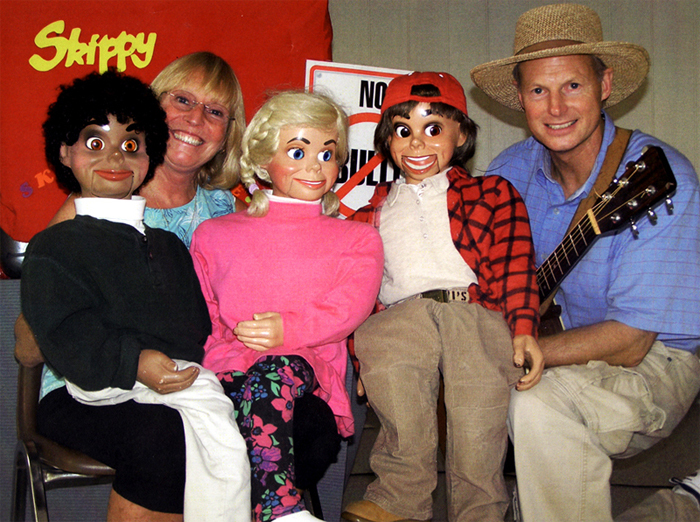 The presenter of this program is Dave Parker, is a professional ventriloquist/vocalist/guitarist from Marquette, Michigan. He and his puppet friend, Skippy, will be giving a character-building assembly emphasizing anti-bullying. Skippy and Dave will talk about kindness as a fundamental, positive trait. With Dave’s guitar and audience participation, they will sing songs about friendship and understanding. Their show will include a steady parade of colorful puppet characters reminding students that they don’t have to go through difficult situations alone. Skippy’s light-hearted nature keeps the program upbeat and entertaining as Skippy and Dave use humor and music to help students deal with a serious issue.